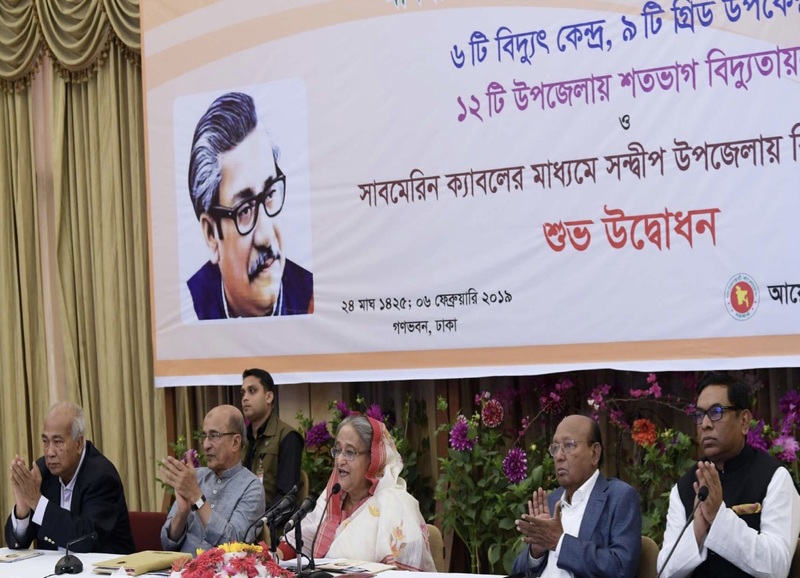 DHAKA, Feb 6, 2019 (BSS)- As much as 1062 megawatts (MWs) of electricity have been added to the country’s national grid as Prime Minister Sheikh Hasina today inaugurated six power plants and nine grid substations. Power Division Secretary Dr Ahmad Kaikaus gave an overview on the overall development in the power sector, while PM’s Principal Secretary Dr Nojibur Rahman moderated the function. Former ministers and Awami League senior leaders Tofail Ahmed and Engineer Mosharraf Hossain, former state minister Mirza Azam, ex-deputy minister Abdullah Islam Al Jakob and parliament members of the concerned areas were present at Ganabhaban.